KUCHING: Chief Minister Datuk Patinggi Abang Johari Tun Openg has promised to bring more good news in September and October this year. There were a lot more he wanted to do for the people and Sarawak, he emphasised, in order to achieve the aspiration of becoming the most advanced state in Malaysia by 2030. “I need more time because I am still doing my homework. The two good news I am hoping to announce later will further strengthen the position of Sarawak according to the Constitution. 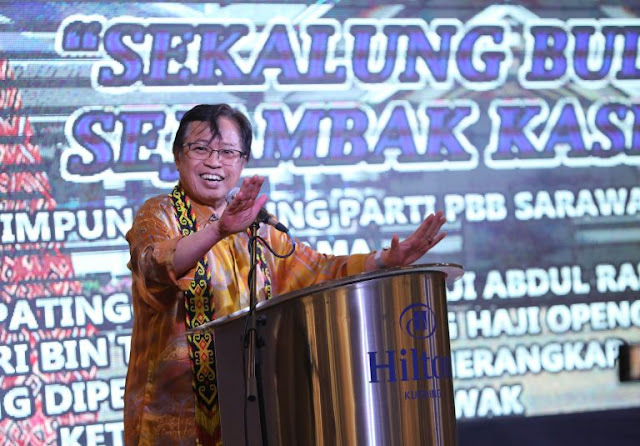 “The news I should bring in September later will benefit the creative youth by providing them an avenue to access to opportunities to develop and showcase their creative potentials either in writing or poetry, but most importantly promote and offer to the world the values and diversity of our social culture,” he disclosed this at the Parti Pesaka Bumiputera Bersatu (PBB) 14th Convention appreciation dinner here on Tuesday night. As for the good news in October, he hinted that there will be a boost in the financial aspect of digital development that in turn will expand the economic opportunities in both urban and rural areas. “It is for this reason I dared to announce the RM8 billion water grid plan for the entire Sarawak besides LRT (light rail transit) for urban areas and coupled with cyber connectivity. This will modernise our economy. 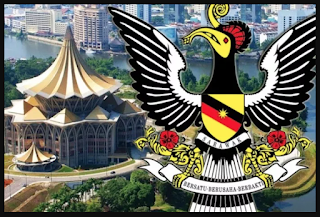 “The monstrous infrastructure development if can be done in three years will certainly ensure Sarawak heads towards becoming the most remarkable state in Malaysia by 2030,” he added.